We've had more than a few teasers for Ariana Grande's Sweetener, but at long last, the full album is finally here. Yes, you can stream the entire record now. Included on Sweetener we get previously shared tracks like "No Tears Left to Cry," "The Light Is Coming" with Nicki Minaj, "Raindrops," and "God Is a Woman." But we can now also hear songs such as "Breathing," "R.E.M.," "Get Well Soon," "Better Off" and an interlude simply dubbed "Pete" — presumably as an homage to her fiancée, Pete Davidson. Hear how it all plays out for yourself below. 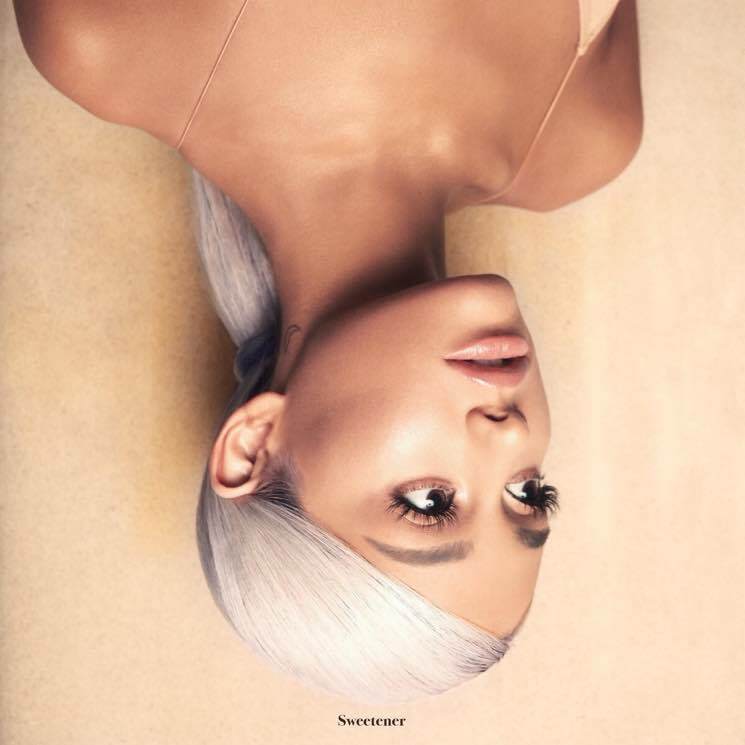 Sweetener is out now via Republic. The album is available to order in a special fan box set (including Polaroid-style prints, poster and temporary tattoo sheet) via Umusic here.